Ohm Studio: never be a lonely music maker again. For anyone who's interested in real-time online collaboration, Ohm Force's forthcoming Ohm Studio looks very promising indeed. This web-connected DAW offers proper MIDI and audio sequencing, plug-in support and a slew of community features. The software is currently in beta, but thanks to a new video from Ohm Force, you can now see exactly how two people in two different places can go about making music together. 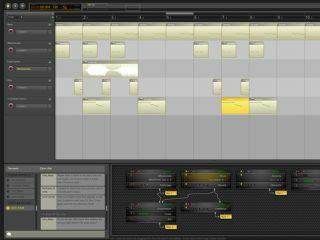 It gives a tantalising glimpse of what might be possible in Ohm Studio, and further whets our appetite for its release.